A pungent infusion brewed from several exotic spices and herbs. Enjoyed in the sultanate of Ul'dah. A delicately fragranced infusion brewed from tiny yellow chamomile flowers. 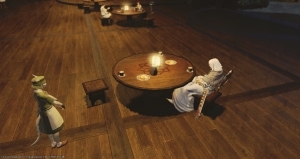 Rather than adding milk to boiling water that has been infused with tea leaves, as is the fashion in lower Eorzea, Ishgardian tea is brewed by boiling yak milk and letting dried Coerthan tea leaves steep right into the hot liquid. Picked from plants that grow Black Shroud, these leaves are extremely bitter and are not ideal for brewing tea. 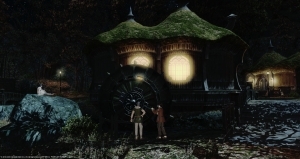 Considerably smaller than Thanalan tea leaves, more than double the amount oh Ishgardian tea leaves are required to brew a single cup of tea.